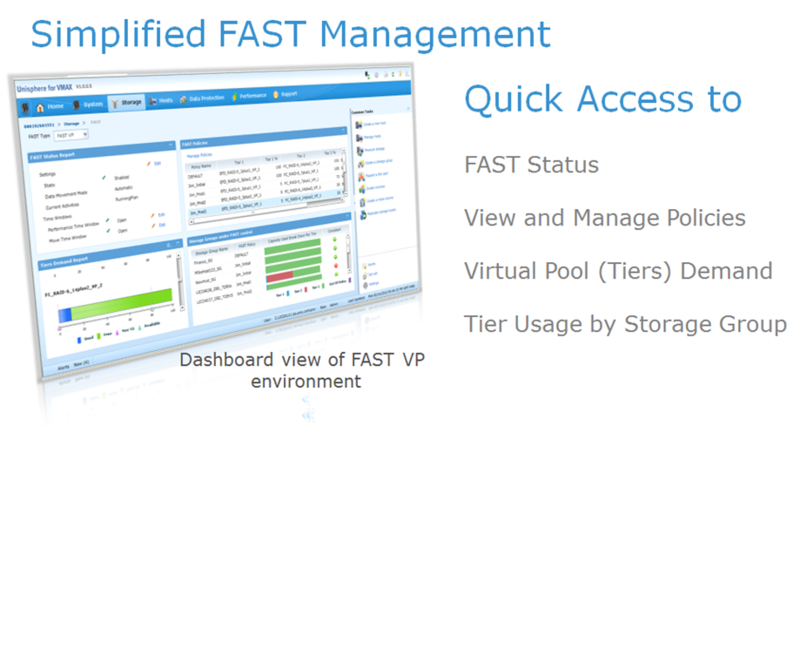 One of the most important features for geeks like me is the graphical user interface and ease of management when using a product, a while back we introduced Unisphere for the VNX/VNXe arrays which was VERY well received, it dramatically simplified the management of the array, large icons, simplified wizards, customers love it!. The new Unisphere for VMAX will fully replace Symmetrix Management Console (SMC) and Symmetrix Performance Analyzer (SPA) in 2H2012. In its first release, Unisphere for VMAX 1.0 will support the new Enginuity 5876 functionality. 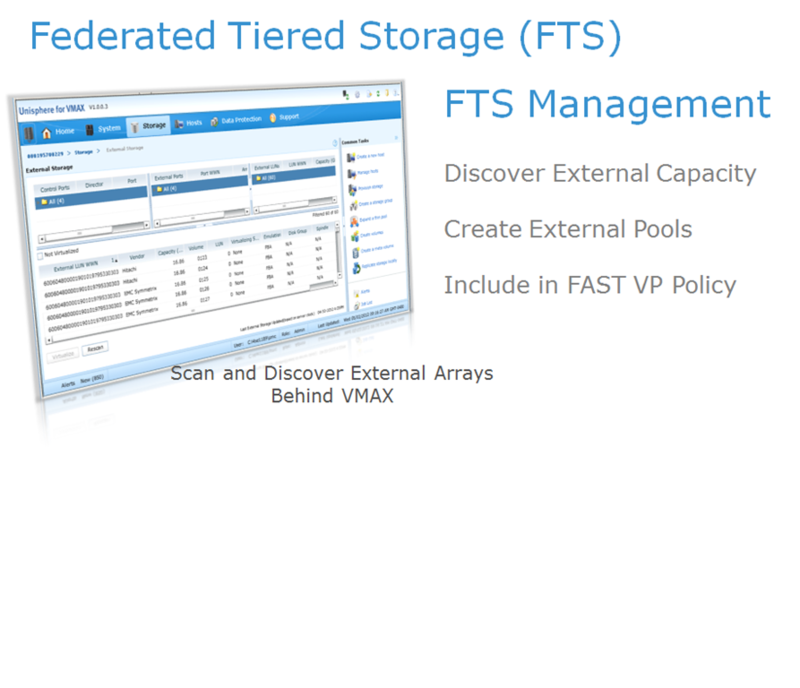 Unisphere for VMAX uses the same framework as the VNX family as well as with the VPLEX Family and it provides customers with the same EMC-standard look and feel. Unisphere for VMAX is contextual and it is simple to navigate compared to SMC and SPA. 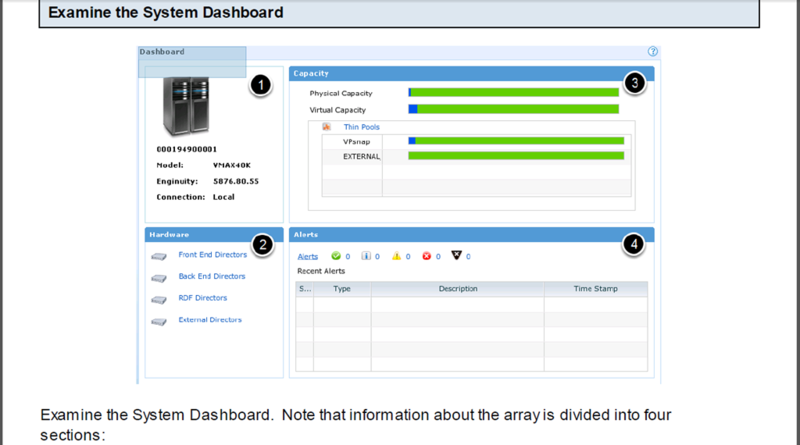 With Unisphere, customers can easily and rapidly provision, manage and monitor VMAX arrays. 1. A system overview section, which includes the array’s serial number, model number, the Enginuity level and an indication if the array is locally attached to the host running Unisphere. 2. A hardware section, which includes links to drill down on the various director types in the array. 3. A capacity section, which summarizes the physical and virtual capacity in the array.